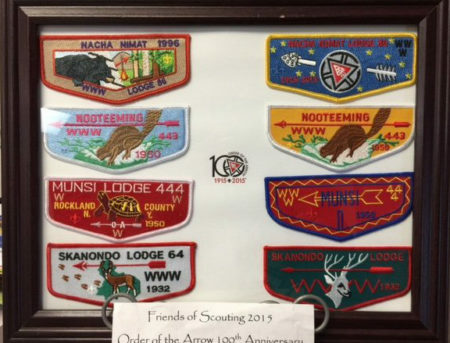 Each of the historical flaps contain the birth year of lodge, in this case for Nacha Nimat #86 was formed in 1996. 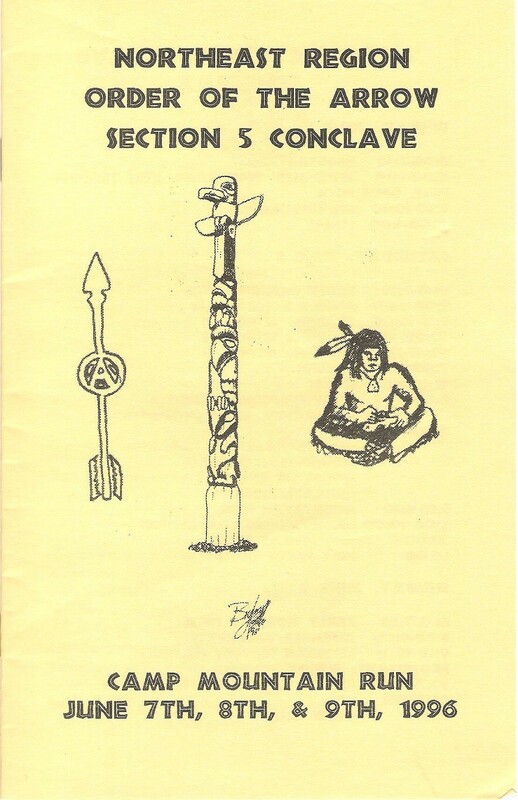 Here is another Conclave Pamphlet cover submitted by Chris Carlson this one for the 1996 Section NE-5 Conclave. I’ve updated the original post with the scan too. 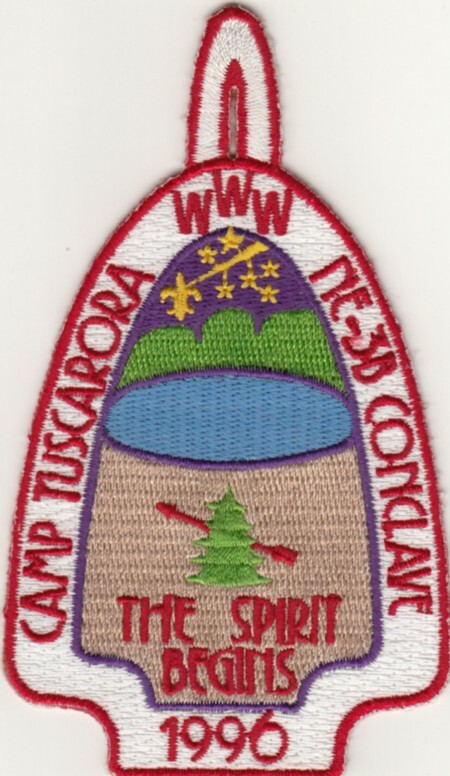 I’ve just updated my original post of the 1996 Section NE-3B Conclave with in better scan of the participant pocket patch. 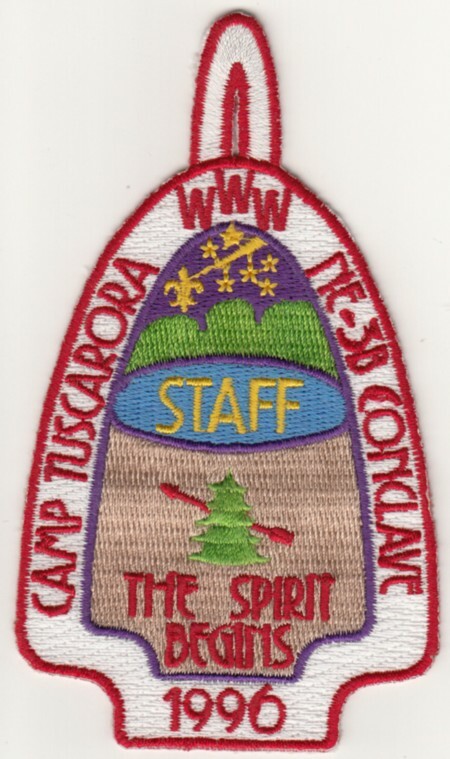 And a recent find, there was also a staff patch issued for the event. 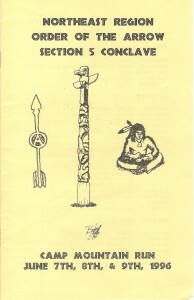 Both scans were added to the original post. 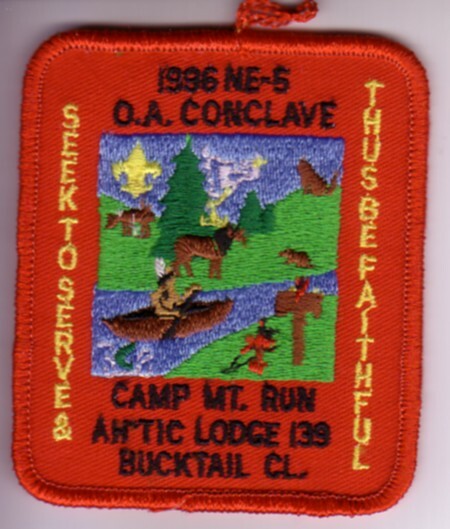 As far as I know, there was only a single issue for the 1996 Section NE-2A conclave. 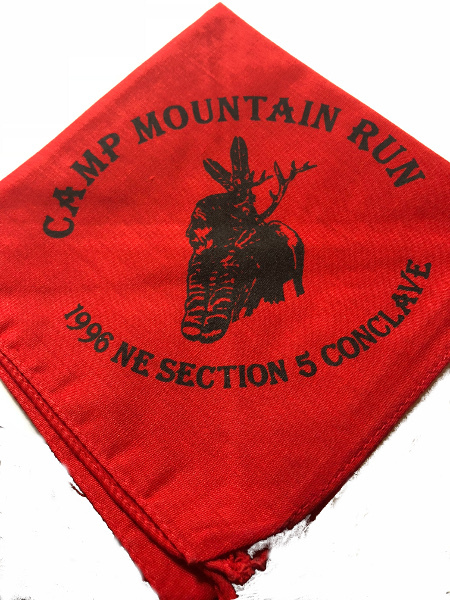 Although versions exist with and without the pocket loop. 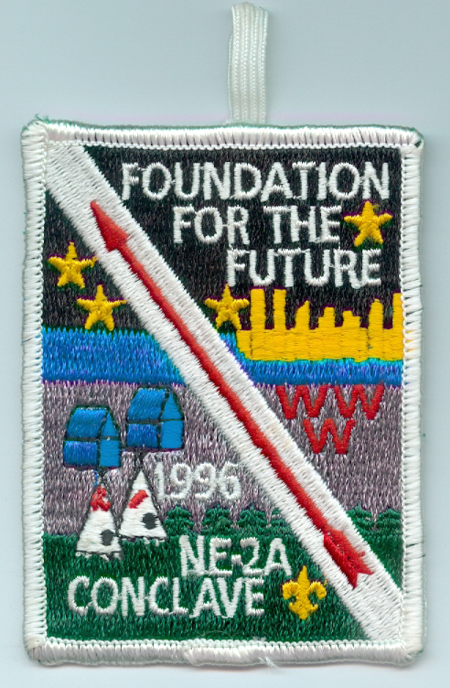 Thanks to Roy Weatherbee for the scan of the patch.